Thanks! I just got one of each! There are a few things that help, pouring a bit slower instead of tilting it vertically right away. 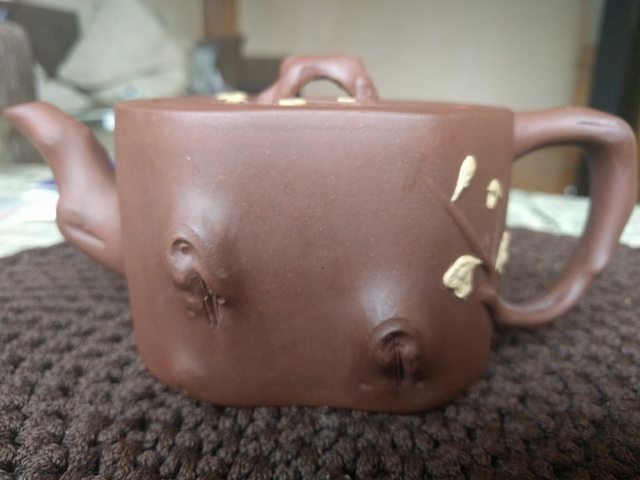 Not overfilling the pot, when you put the lid on and a bit of tea flows through the spout it sometimes pushes suspended leaves into the hole, clogging it, matters mostly in the first few steeps. If you use a toothpick to unclog don't try to leave an 'open area' outside the spout entrance, that opens up for more suspended bits to clog again, instead push larger leaves into that area to act as a filter for the smaller ones. After it starts working smoothly dont pour into it in a way that disturbs the configuration. The filter should be foolproof though, the thought of buying something to replace having to know how to use the pot doesnt sit well with me, but obviously it will work better and easier. Thanks for the tips. I'll try that while I wait for the filters to arrive. Who knows, maybe I'll end up liking it better without them. 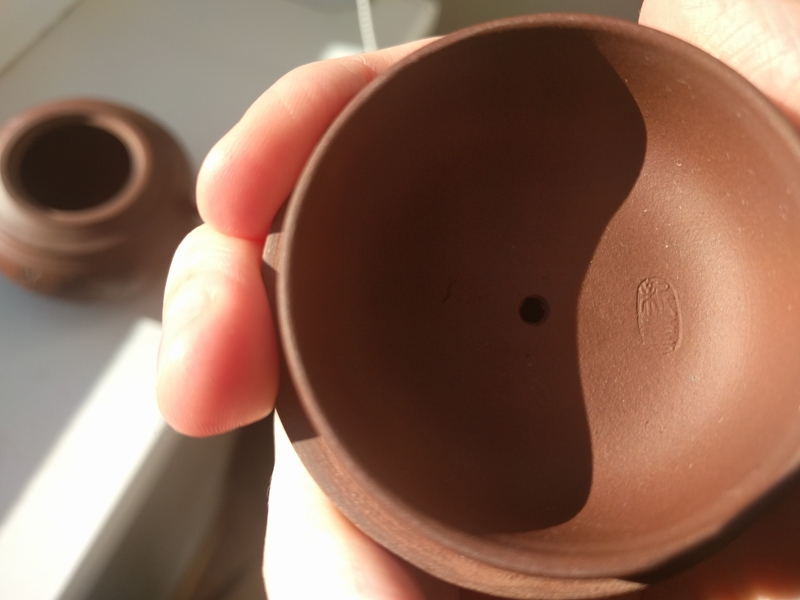 I do by far prefer single hole spouts on my Yixing pots. Sometimes problems develop especially with tightly rolled leaves, such as modern Ti Kuan Yin, or Taiwanese teas. 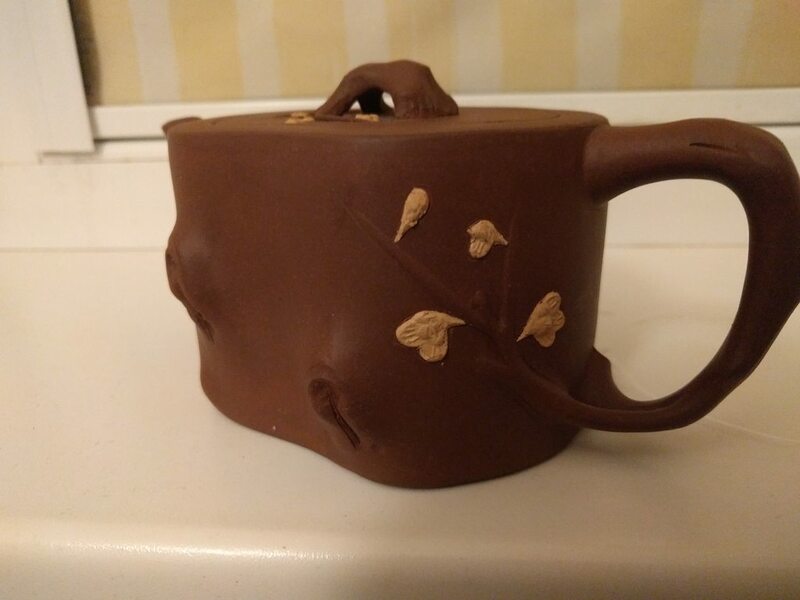 But as already mentioned, placing of leaves and pouring technique helps, and of course that stick tool with which you can free a spout, and whihc always sits next to my tea set. The disadvantages of once a while a bit of a cloggled spout which is easily freed does not outweigh the advantages of a better general flow of the tea. IMO. 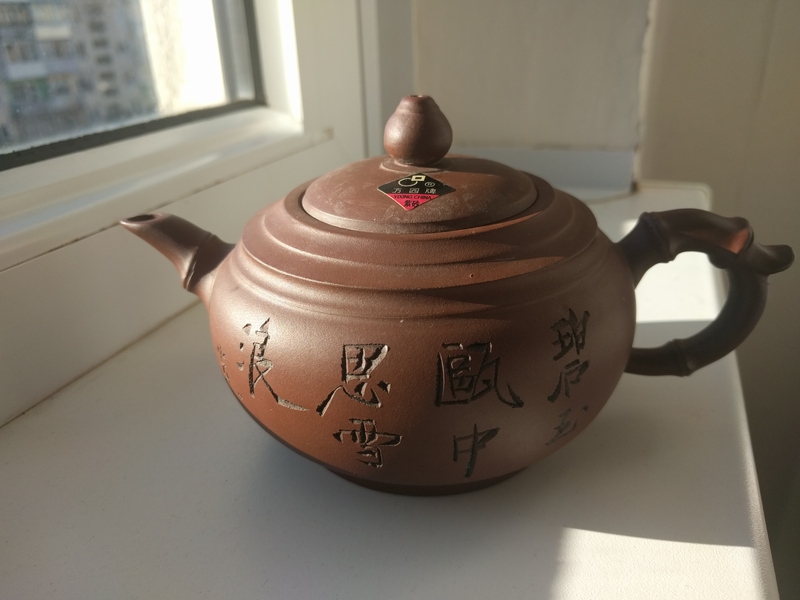 I had a big long post written out about the seal of this pot, but alas, it's all gone now, accidentally refreshed the page. Edit: I was tired when I wrote this. It is 60ml so I believe 3 cup, not 6. Last edited by Teachronicles on Sun Feb 17, 2019 10:59 am, edited 1 time in total. gotta love the creaminess of 60s clay! Shame we miss out on the seal story! Alright, the seal. I found a pot that was strikingly similar to mine on Instagram and thought they might be long lost brothers (originally thinking maybe made by the same Potter). They were the same size, same clay texture, flat inner base, similar workmanship (from what I could tell) and what I thought was the same seal. The owner of the pot pointed out to me that the seals are very slightly different. His seal is first, mine second. So what Ive been told is that the flat inner base pots are a product of the late 60s, during a period when f1 was transitioning from the six character stamp to the 4 character. The seal on my pot is supposedly a few years older than the seal on his, which points to the mid 60s for my pot. So back to our pots being brothers. 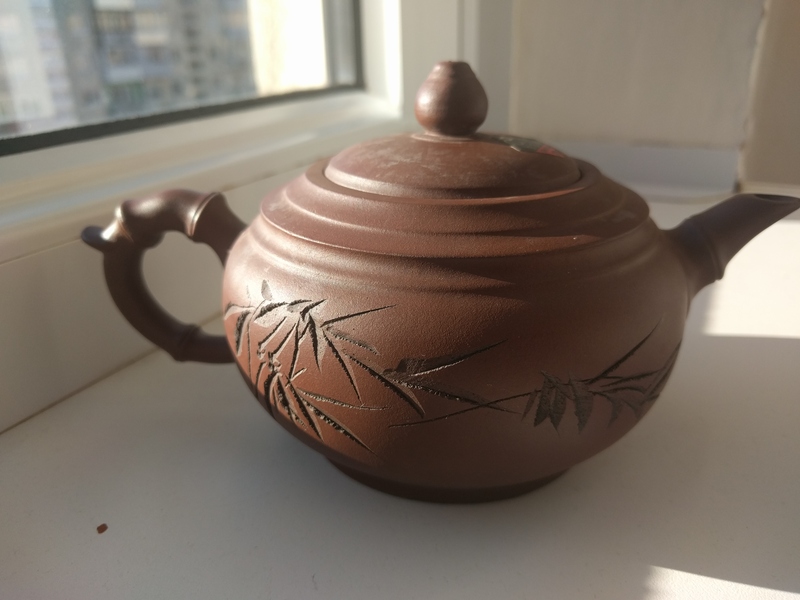 We took pictures and compared and the owner of the other pot (much much much more knowledgeable than me) thought, judging from the handle and spout, that they were likely not made from the same Potter. My lid is more puffed than his as well. Ah well. Either way, both are very nice pots and I feel grateful to be able to own mine, a little piece of history. Bok, see above. I posted it, I thought it was too interesting not to tell. On an outing at one of Chunshuitangs (the inventor of bubble tea) teahouse they are using those vintage dragon pots if you order hot conventional tea. Sidenote, those are teahouses in the old fashioned sense, a place to eat a snack while drinking some tea, usually medium to low quality. 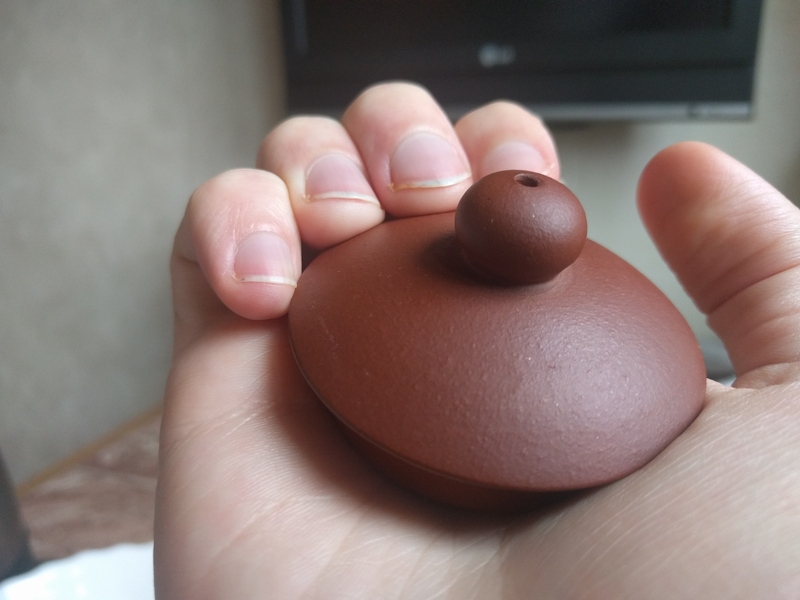 It does not seem to be a pure Zhuni, too reddish for that and some tiny grains of other clay seem to be blended in. 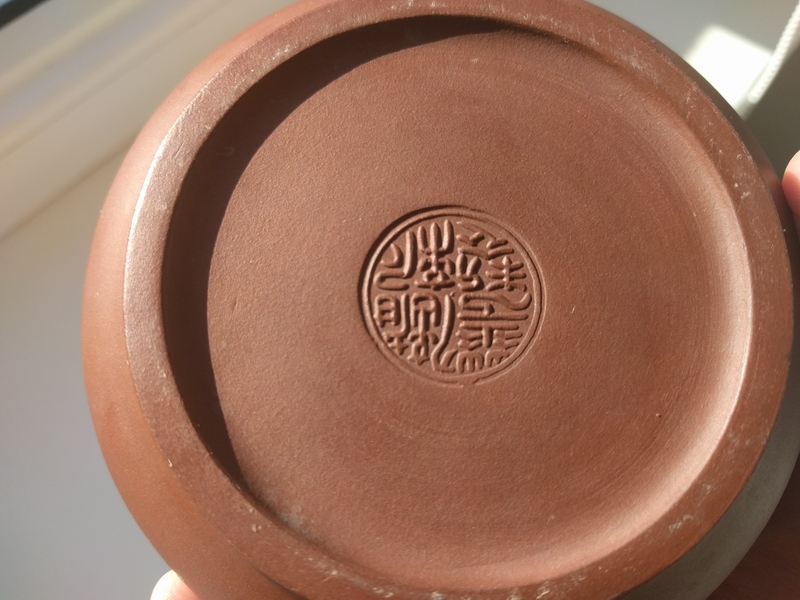 Un-like most modern, seemingly affordable Zhuni pots, this one is not blended with hongni. It is still a new pot around 20y old, yet some tricks of older periods have been used by the artisan. Craftsmanship is really good! If that guy would try to fake an antique he could probably do it really well! The difference is night and day, the texture and feeling to the touch is extraordinary! Need to take some pics with better lighting, these are of heated state. The glow in real life is something to behold! Testing all sorts of tea the moment in it. In picture it is Yancha. First impressions are that high quality roasted oolongs with some high notes come out best in it. For greener oolongs I personally still much prefer the Kobiwako or Duanni clay. Got these on an ebay auction pretty much for the price of shipping, after getting some duds a few times. - Clay type (zhu ni, hong ni, zi ni, duan ni, ...): Don't know, the vermilion color is throwing me off, hongni maybe? Would appreciate if someone could tell me. - Firing temperature: Low/Med/High fired?Haven't handled enough teapots to tell, really. - If the pot is thin-walled, medium, or thick-walled. - How long is the pour? : 12 seconds. - What year/decade the pot was made? :Pretty sure it is modern. - What type of tea you make with it? :Tried brewing some young sheng, liked it, though the small leaves got constantly stuck. - What is the effect of the pot on tea? Why do you like to brew a certain tea in it, and what does it do for that tea? :The aroma of the leaves in the pot is very nice. The tea lost a lot of the bitterness and some of the smoke. 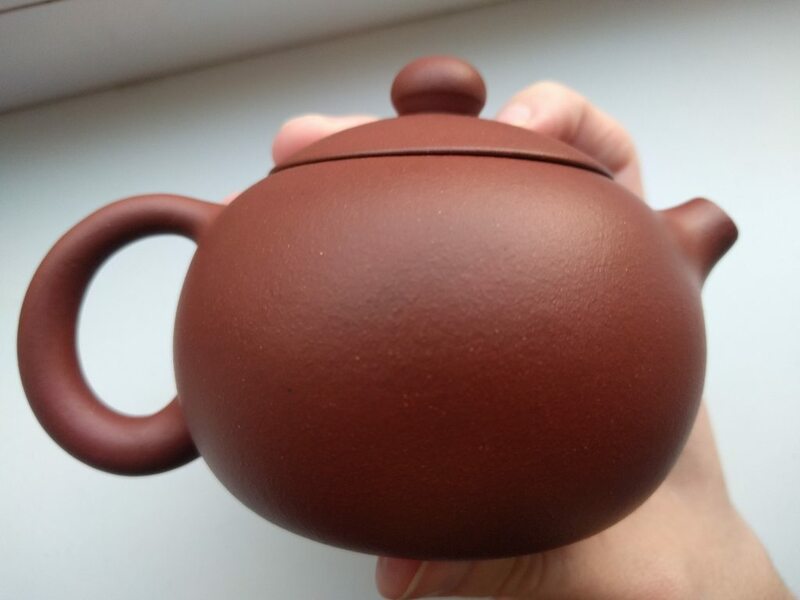 After one tea session, the teapot already began to shine a bit! Very pleased. - Firing temperature: Low/Med/High fired? :Most likely low - mid fired. - If the pot is thin-walled, medium, or thick-walled.The walls are fairly thick. - How long is the pour? : 9.5 seconds. - What year/decade the pot was made? : From what I've seen on the internet, these were made en masse as souvenirs before the whole yixing craze began kicking in, if I had to guess, it is at least 20 years old. I could be wrong, of course. - If known, the craftsman or factory:Don't know, but I like the mark on the lid. Looks much nicer than the ones mostly used nowadays, in my opinion. - What type of tea you make with it? :I'm not sure If this was even meant to be used to brew tea!, it's so big! 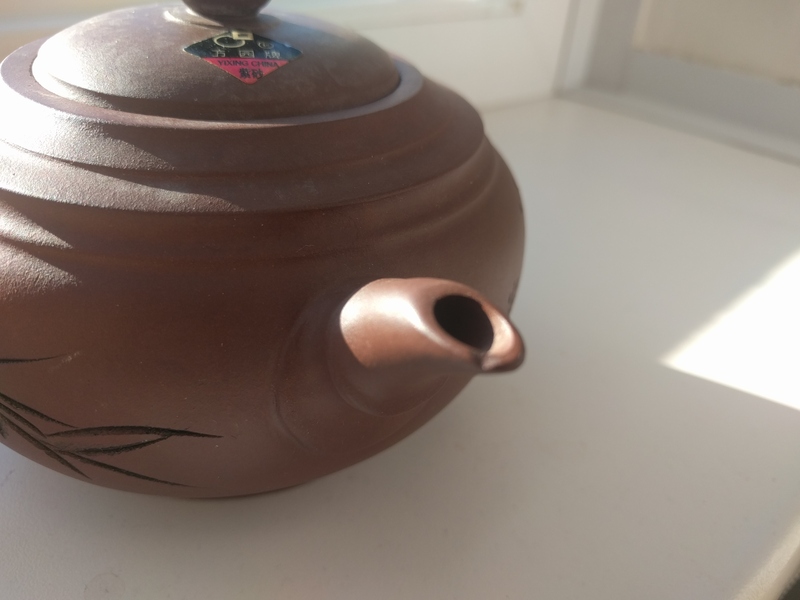 Probably will try to use it for some western shou puerh drinking, see If it works. Funny thing is, I found a small wad of paper stuck in the bottom of the spout, near the filter. Thought I would never be able to get it out! Wonder how it got there? Last edited by Isarite on Sun Feb 24, 2019 12:38 pm, edited 1 time in total. Nice plum blossom pot. Looks like it might be 80’s F1. A close relative of that design. Thanks! Yours is much nicer, though. Mine is not nearly as detailed. 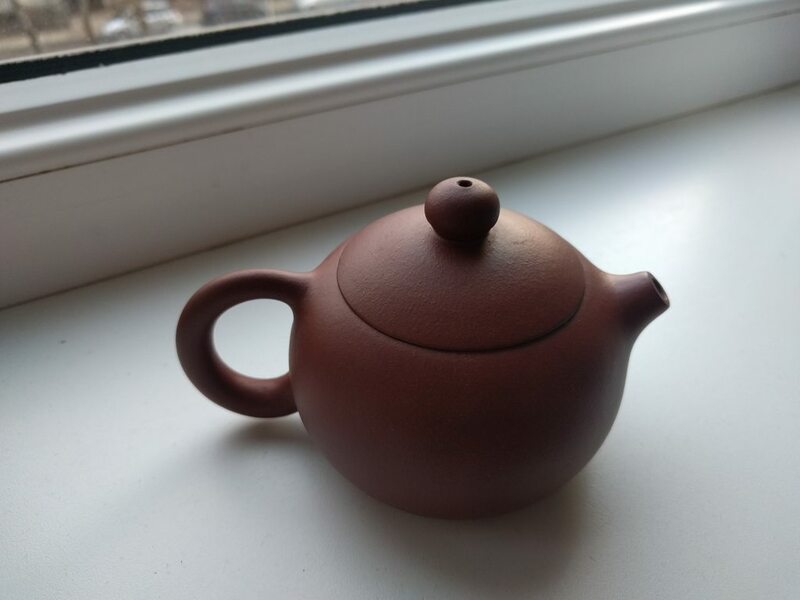 On an unrelated note, I found a hairline crack between the handle and the body of the lid on my other teapot. I'm pretty sure there were signs of it before, and it could just be that it grew more pronounced with tea staining it. Should I be worried? 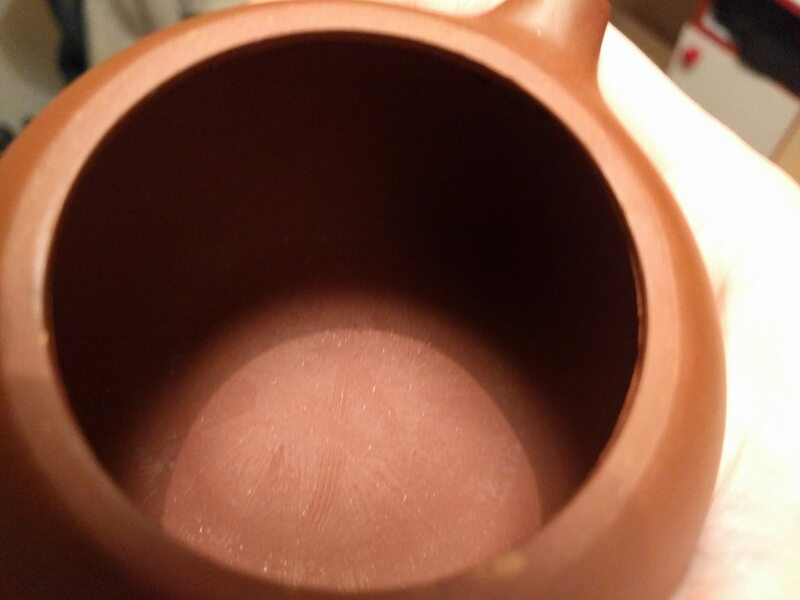 I warmed it up with some warm water before using it, but could the crack be due to thermal shock? 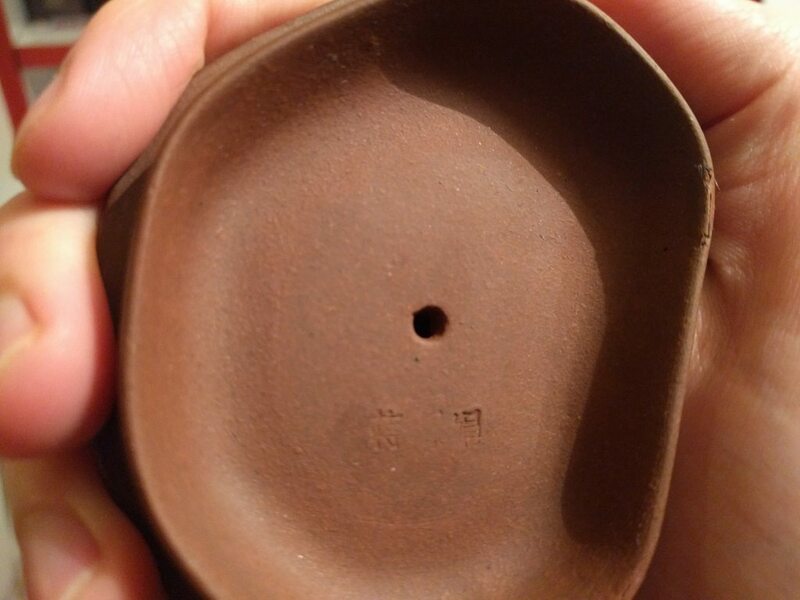 The crack is skin deep, but having the lid crack completely would be pretty sad. Another bargain. The seller didn't really know what this was, so managed to get this for pretty cheap. Pretty well made, the lid fits very well. 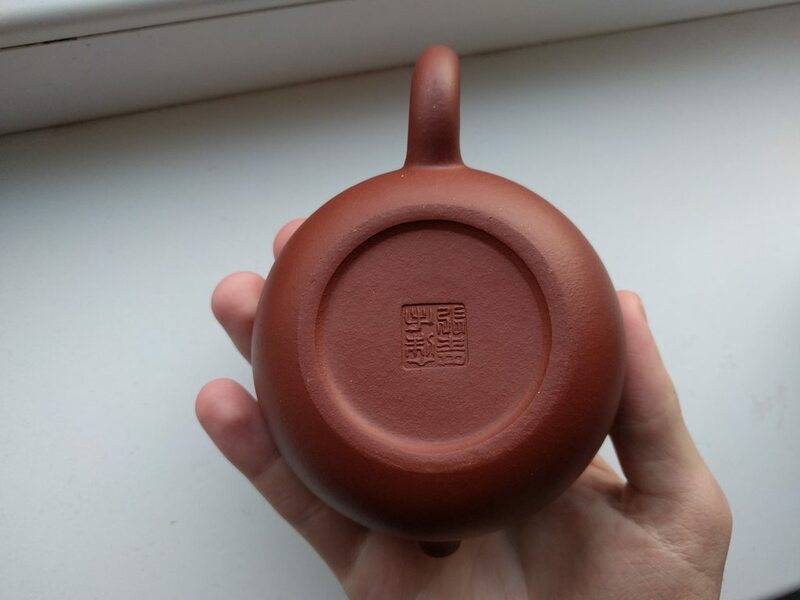 Looks like it has been laying around somewhere for a long time, so I'm inclined to believe this is not a repro or a fake, but an export teapot. I might be wrong though, since I'm still very green at this. Sadly, there is a small chip at the spout. - Size of pot in ml or oz: ~400ml filled to the brim, but functionally around 350 ml. - Clay type (zhu ni, hong ni, zi ni, duan ni, ...): Zi ni. - Firing temperature: Low/Med/High fired? :Definitely high fired. Very bright sound. - If the pot is thin-walled, medium, or thick-walled: Thin walled. - How long is the pour? : ~27 seconds. Very long. - If known, the craftsman or factory:Don't really know. Most likely a factory production. - What type of tea you make with it? Not decided yet. The clay is very fine, so it probably is not very porous. I'm thinking it might work well with hongcha, for semi-gongfu or western style brewing.